Here's a cyclist who isn't intimidated by a little snow! One key to staying warm for winter exercise is to keep your body heat in balance. Your body generates a great deal of heat as you burn calories to keep moving,. In summer, the idea is to shed that heat but in winter, you want to keep it. A bare head can act like a radiator, so that's one place to use clothing to maintain a correct heat balance..
You have several options depending on the ambient temperature, and the ventilation efficiency of your helmet. For a day when it's merely cool, a simple earband - like a sweatband, but wide enough to cover those tender lobes - will keep your ears from freezing in the breeze. As the temperature drops, you'll want to cover the top of the head with a skullcap. For truly Arctic weather, opt for a balaclava to cover the lower half of your face as well as the top of the head. The type of fabric is important here: you want something that will wick moisture away from your skin so that you don't get soggy when you stop for a breather. Synthetic fabrics are better wicks than cotton, and are also less bulky. For an all-around solution, consider the Original Buff. This lightweight tube of stretchy synthetic fabric can be shaped into at least a dozen configurations, including headband, skullcap and balaclava. They come in dozens of eye-catching designs as well. A long-sleeve cycling jersey is your core temperature's first line of defense against temperature loss. If it gets really cold, consider adding another layer underneath like a tight-fitting tee of wicking fabric. To be effective, cycling jerseys have a long tail to prevent "back drafts" and a zipper in the front. The zipper allows regulation of body temperature: pull it tight around your neck to trap more heat or lower it a few notches to shed the excess. Jerseys come in a variety of fabrics and weights. Wicking fabrics are preferable here as well. If you have the option, get jerseys with different weights: a lightweight fabric for brisk fall or spring days and a heavier weight version for rides in the dead of winter. Always choose jerseys in bright colors with reflective patches to increase your visibility on winter's short, dark days. Camouflage is not a good idea, so skip the Duck Dynasty prints. WInter cycling gear includes clothing to help keep the body's core temperature within a comfortable range. If it's just moderately chilly, try a vest with a zipper that allows you to adjust the closure. Long-sleeve jackets that zips up the neck help as the mercury falls. For your coldest rides of the year, you'll want to break out the big guns: a waterproof version with an over-the-helmet hood. An option for when you expect the day to start out cool and warm up is to start your ride wearing a vest and arm warmers like the Sugoi RS. Once you're warmed up, you can strip off the arm warmers and slip them into a pocket. Light-colored versions can also be used as sunscreens for mid-day rides in summer's heat. If your budget won't support both a jacket and vest, consider a convertible model like this one from Pearl Izumi. These have removable sleeves so they can be worn as a vest. Gotta have warm fingers or you'll be miserable. What Could be Worse than Frozen Fingers? Ordinary 13-inch cycling shorts leave a lot of skin exposed to the elements, which just won't do: lengthier tights are a must. Winter tights are available in a range of weights and styles, but the first choice is, "padded or not?" Unpadded versions are intended to be worn over a pair of shorts or a "cycling undergarment." For the first cool days, consider capri-length tights (men's styles are called ¾-length) before going whole hog with full-length tights. The same fit rules hold for winter tights as for shorts: look for a pair whose padding fits (there is no such thing as unisex tights) and whose design suits your riding needs. 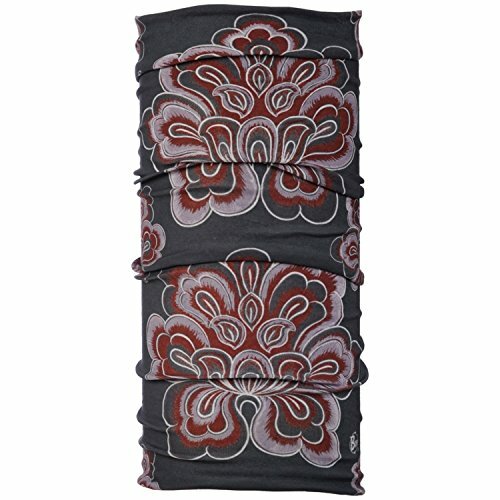 You'll find four-, six- and eight-panel designs for varying support. Full-length tights, especially the heavier-weight versions, will feature ankle zippers to make them easier to get on and off. Fit will always be more important than style, but do make certain that the tights (which are almost certainly black) have reflective piping and logos to raise your level of visibility. 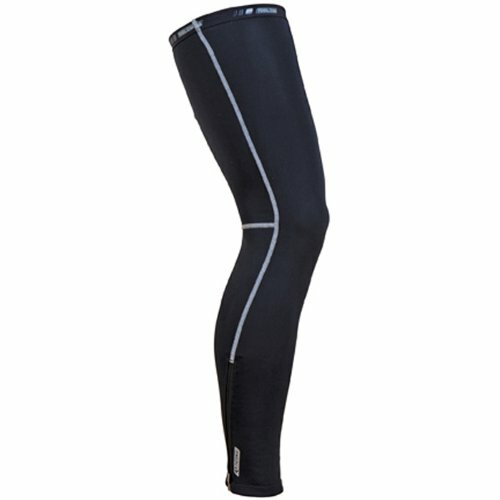 On chilly mornings keep your calves warmer with a pair of over-the-knee legwarmers. Once the sun warms the roads (and the air) you can strip them off and tuck them into a pocket or a pack. Leg warmers can also add a little insulation to lightweight tights when the weather gets colder. It's a good bet your cycling shoes are designed to keep your feet cool on hot summer days, with lots of mesh panels for ventilation. Sadly, that means that they aren't going to keep your feet warm when it's cold. That duty will fall to shoe covers. These devices range from lightweight toe covers to full booties. Lightweight versions cover the toes and wrap around the sides; booties cover the entire foot up the ankle. Both styles have cutouts for cleats, but it's a good idea to take along your shoes when shopping for shoe covers to make certain the cutouts don't impede your cleats. The wise cyclist prepares for the weather no matter whether it's 50 above or 5 below; from a balaclava for the face to booties for the tootsies.